Railpictures.ca - L. Parks Photo: CN 2423 and GECX 7303 are on the way to Calgary with a mixed freight. | Railpictures.ca – Canadian Railway Photography – photographie ferroviaire Canadienne. 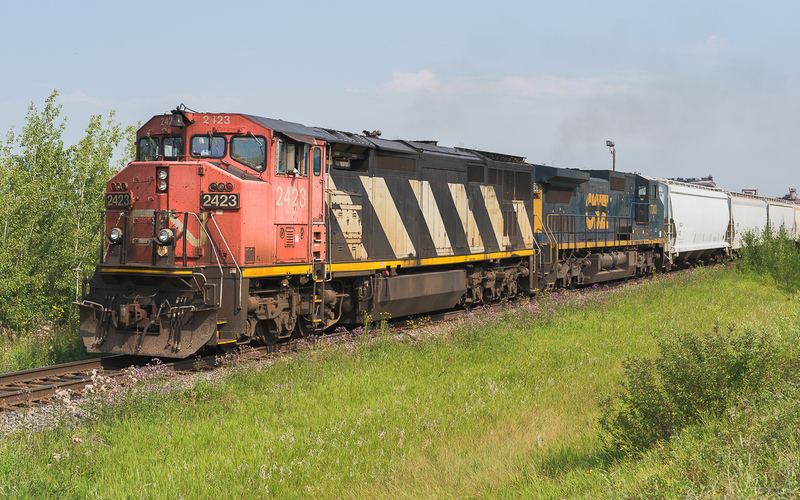 Caption: CN 2423 and GECX 7303 are on the way to Calgary with a mixed freight.